Please see "Sheridan Care Ocular Health Evaluation" below for the description of the remaining tests during your full oculo-visual examination. Children require a unique approach. Read more about pediatric eye exams in Mississauga here. *Retinal Photography - This highly recommended procedure is an additional test available which allows our eye doctors to have a high resolution image of your retina which can be stored electronically for future reference. 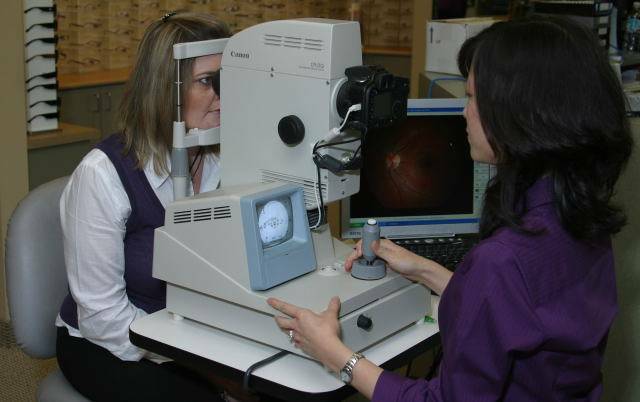 This enables superior diagnostic capability and is an excellent method to monitor long term eye health.